£4 for Members, Associates and Friends of the RBSA. RBSA Gallery reserves the right to withdraw the course. In this eventuality, you will be notified and fully refunded. Learn how to turn your drawings into printed pictures or wrapping papers by using quickprint foam sheets and coloured inks and papers. 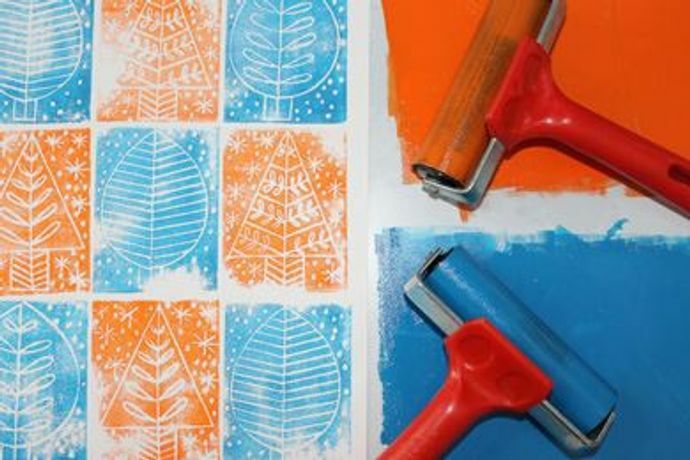 Learn how to turn your drawings into printed pictures or wrapping papers by using quickprint foam sheets and coloured inks and papers. This workshop coincides with the ‘Exploring Drawing’ exhibition and is suitable for all abilities, including those who don’t think they can draw!